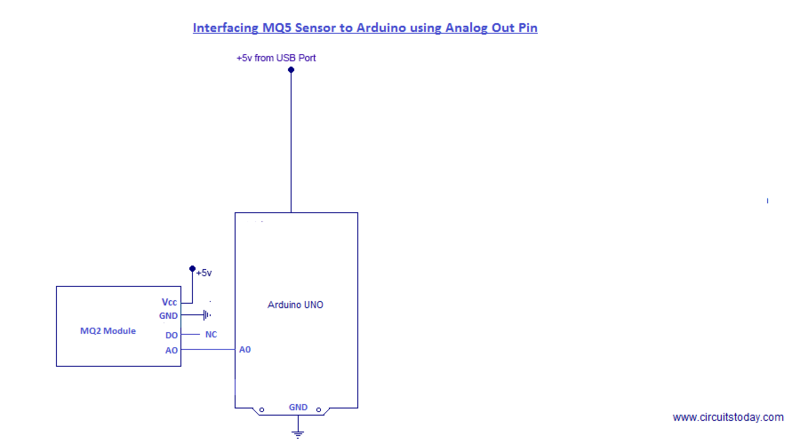 In this article, we are going to learn how to interface MQ2 Gas Sensor with Arduino. MQ2 is basically a general purpose gas sensor (similar to MQ5) which can sense a broad range of gases like LPG, Butane, Methane(CH4), Hydrogen and in addition to these gases MQ2 is sensitive to smoke as well. 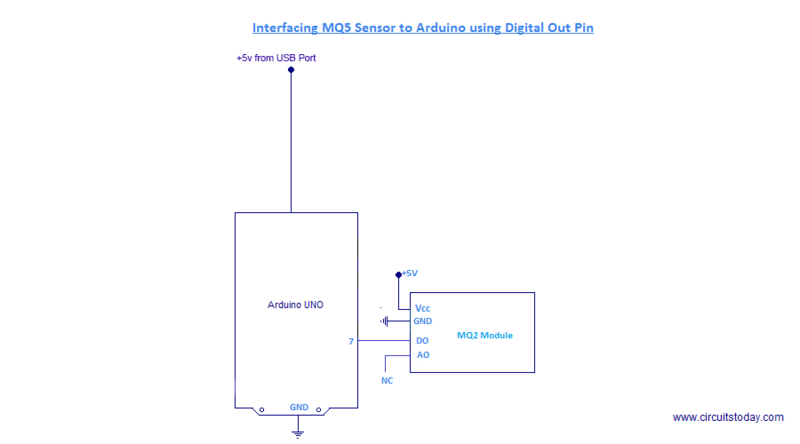 In a previous article, we have wrote a tutorial on Interfacing MQ5 Gas sensor to Arduino. Both MQ5 and MQ2 are basically gas sensors but their range of sensing different gas levels vary. For example, MQ5 can sense LPG in a broader range of 200 ppm to 10000 ppm, where as the range of MQ2 for LPG is short and is from 5000 ppm to 10000 ppm. Similarly MQ2 is sensitive to smoke where as MQ5 is not that sensitive to smoke. So we can not choose MQ5 gas sensor to design a smoke alarm or smoke involving applications. MQ2 can sense methane(CH4) upto 20000 ppm where as MQ5 can sense CH4 only upto 10000 ppm. The difference between MQ5 and MQ2 therefore lies in its range of values. We choose the right sensor based on the application requirement; say for example – We can not choose MQ2 for sensing low levels of LPG in the range of 700 ppm because MQ2 is insensitive low levels of LPG (its range begins at 5000 ppm and extends to 10000 ppm). So for applications to sense low levels of LPG, MQ5 is the ideal choice as it can sense values starting from 200 ppm. So here are our circuit diagrams! 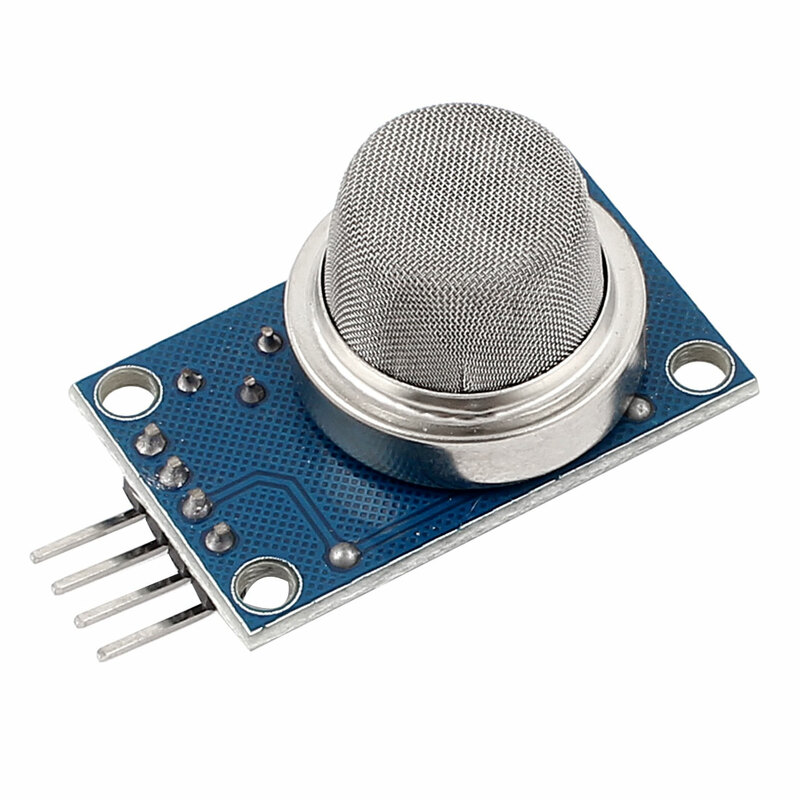 So that’s all about interfacing MQ2 gas sensor to Arduino! If you have any doubts regarding this article, feel free to ask in comments section! We have created a Gas Leakage Detector Application using Arduino and MQ5 sensor – you can build that application if you are interested! You can also try your hand to build our Big List of Arduino Projects – which has a collection of 100+ cool arduino projects! How to calculate ppm of the detected gas from the analog value? It involves some mathematical calculations. We shall come up with an article on the same very soon! how calculete ppm from analog data from mq sensor?